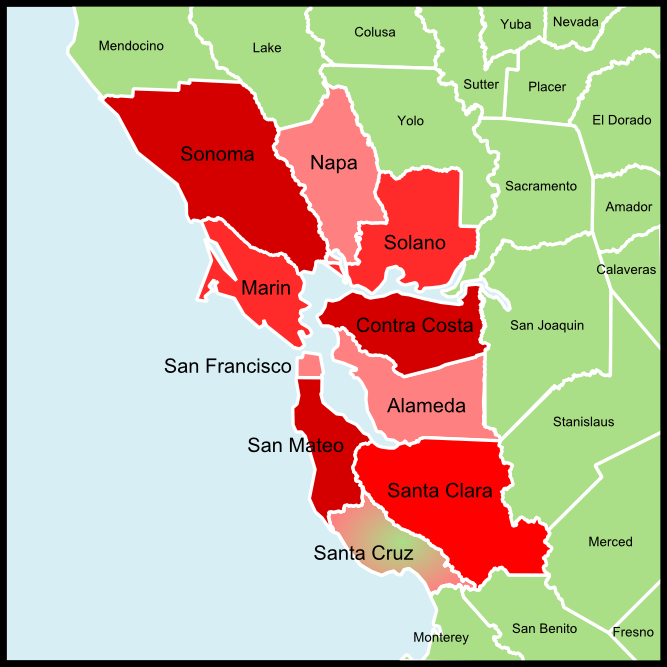 Today we begin studying the bridges in Santa Cruz County, southwest of the counties surrounding San Francisco Bay (see Wikepedia map below). 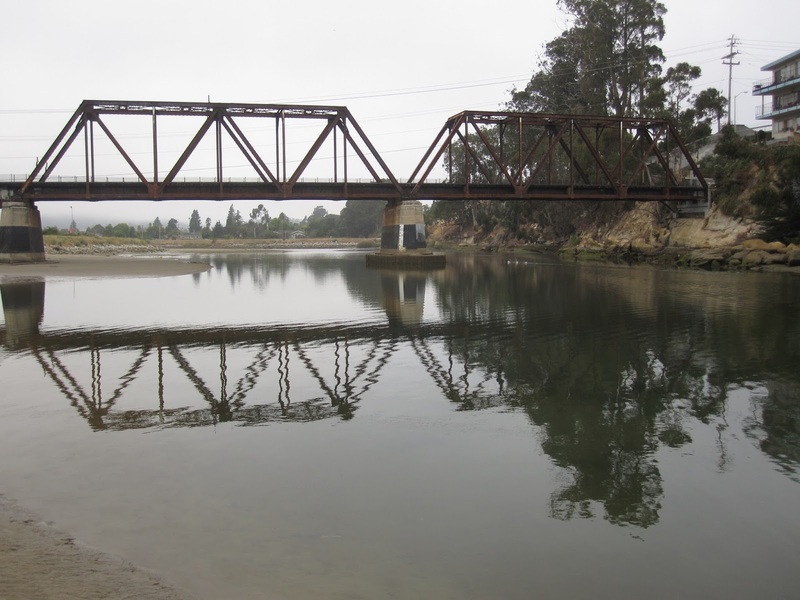 The San Lorenzo River is crossed by the Southern Pacific Railroad Bridge just before it empties into the Pacific Ocean. The bridge includes two six panel Warren truss spans (across the river) and a plate girder approach span on the west side of the river. The bridge is 332 ft long with 120 ft long truss spans. The 1990 East Cliff Drive Overhead (36C0106) can be seen crossing over the track just east of the bridge in the photo below. A pedestrian walkway was built on the north side of the bridge, probably to keep people from walking on the tracks. It is supported by steel corbels extending from the floor beams. Railroads have a complicated history along California'a Coast. The tracks were built by small railroad companies who were bought by bigger companies who eventually abandoned the tracks, which were purchased again by small companies. For instance this track is now owned by the Roaring Camp Railroad, which offers scenic passenger train service along the coast. Santa Cruz County, California Bridges: Southern Pacific Railroad Bridge across San Lorenzo River by Mark Yashinsky is licensed under a Creative Commons Attribution-NonCommercial-NoDerivatives 4.0 International License.